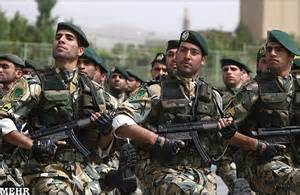 Now that Recep Erdogan staged a Coup D’Etat to retain power in Turkey will the Iranian Republican Guard Corp and hardliners do the same in Iran? It seems that Recep Erdo?an’s formula for retaining power may now be duplicated in Iran prior to that country’s 2017 elections. On 18 JUL 16 AP reported that “a year after Iran’s nuclear deal with the West, hardliners are gaining authority in a backlash against pragmatic President Hasan Rouhani that his allies say could leave him sidelined or push him out of power in an election next year. If the Iranian Revolutionary Guard Corps (IRGC) and the hardliners in Iran initiates a similar coup, the individuals and government leaders who signed the nuclear/economic deal with the U.S. will be sidelined, imprisoned, or killed. If or when that happens, the Iranian hardliners will render the nuclear deal with the U.S. null and void. NEC-SE asks if the decision makers in Washington who praise Iran for being a stabilizing force in the region understand that the Iranians cannot be trusted to negotiate in good faith. Those decision makers should have known that the Iranians would negotiate only until they had secured the monies which were frozen in international banks and had succeeded in shortening the timeline for acquiring nuclear weapons. The moment the Iranians achieve those two objectives they may change the purpose and course of negotiations to further Iranian national aspirations to become the regional hegemon in the Middle East. One way of cheating will be to stage a fake coup, or to use a legal coup (in alignment with new Sharia law requirements) to seize control of the government from “moderates.” A coup attempt will provide the Iranian hardliners with an excuse for cracking down on the opposition, a critical stepping stone in creating a Persian-Islamic Empire in the Middle East. If the majority of Iran’s 85 million citizens understood that they could easily remove from power the 150,000 hardliners who currently control the government, they might rise up against them and accomplish their ouster. But with the United States conducting air strikes in Iraq to help Major General Qasim Soleimani, a former commander of Iran Quds Force, and with Assad holding on to power in Syria with the active support of the current administration, and with Russia and Iran working together to strengthen their footprint in Iraq and Syria, building their reputation and ability in the region, the likelihood of Iranians rising up against their government even during a fake coup seems very remote if not impossible. For now NEC-SE will wait and watch to see whether a “fake” coup we are predicting in Iran will be conducted by hardline military forces or take the form of a “legal” coup to retain power for the hardliners against American and more importantly Israeli interests in the region.